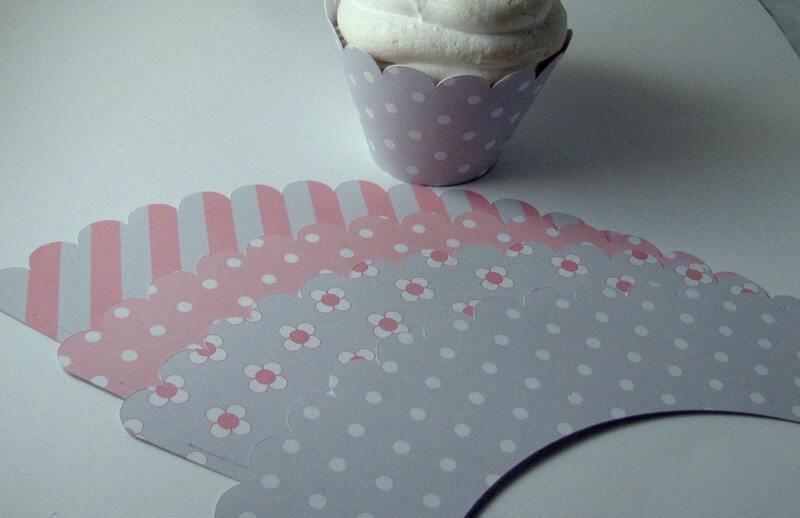 Soft Pink and Gray Cupcake Wrappers. 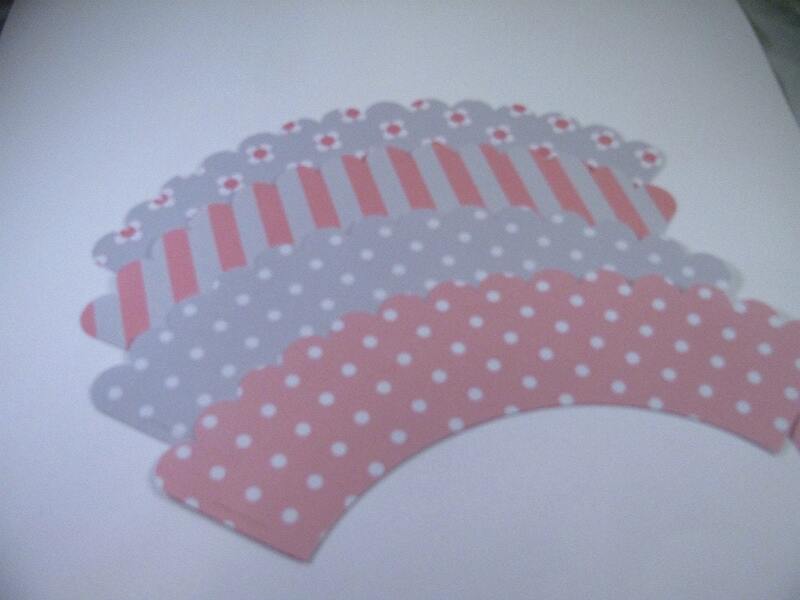 Listing for 1 Dozen cupcake wrappers perfect for baby showers, bridal showers and birthday parties. 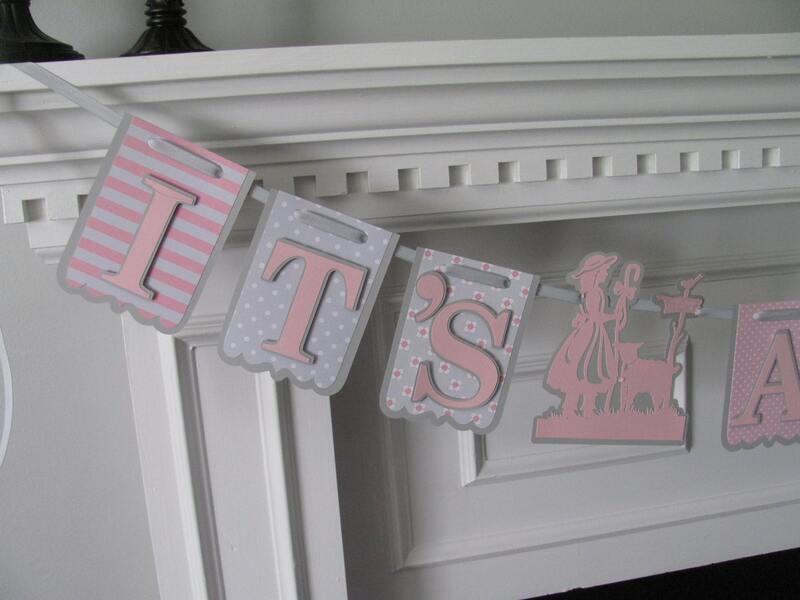 These are shipped flat and are very easy to assemble-just insert tab into opening then insert cupcakes. 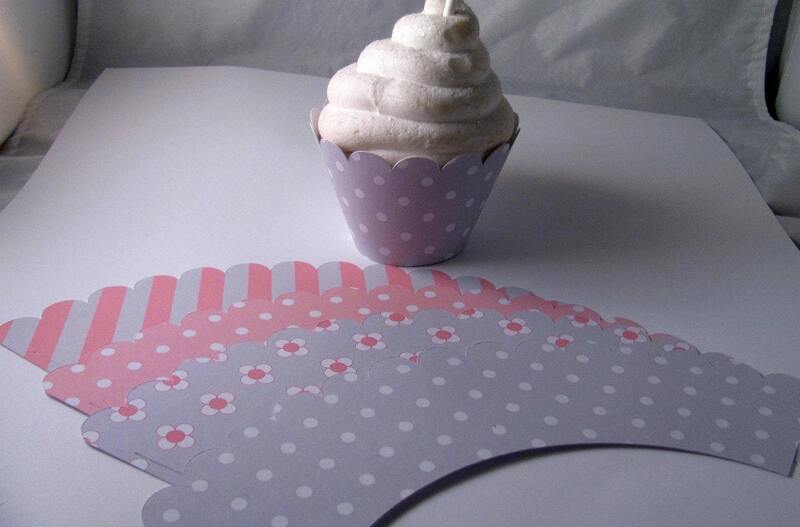 Wrappers fit a standard size cupcake. 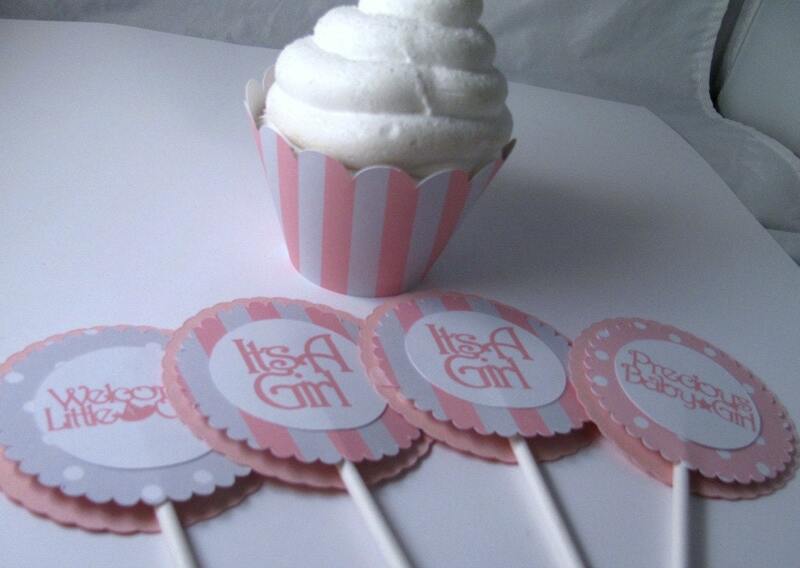 I can also customize a banner for any occasion to go along with these cupcake wrappers. Just convo me with your requirements.